Ship surgeon Jean Baptiste Henri Savigny reached Paris on September 11, 1816, having just survived an ordeal that was to become a sensation of the Regency. Within twenty-four hours of his arrival, a tiny paragraph was inserted in the newspapers that the ship he sailed on, the Medusa, had been lost off the coast of West Africa. Monsieur Savigny was simply looking to be compensated for his expenses incurred by his voyage home, and for the loss of his property in the shipwreck. The government accepted his account and did nothing. However, a copy of his account was carried away. 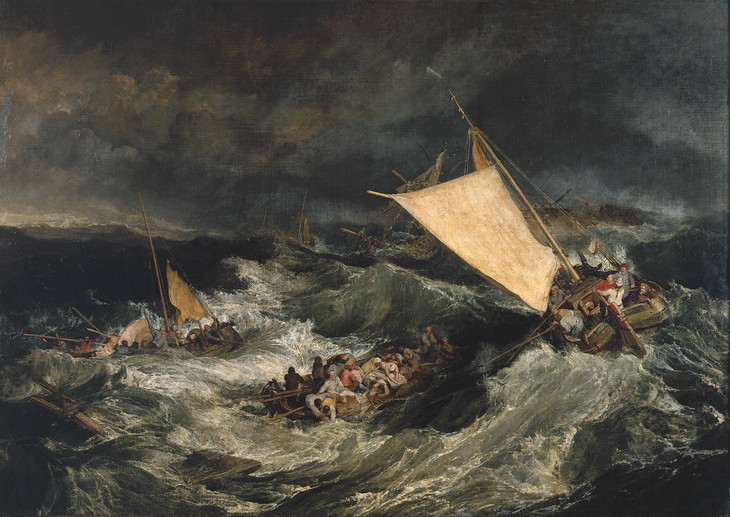 The damning story of the Wreck was published soon after and it was not long before English translations of it were available to Regency England. It was a sensation, the story of French sailors and captain, charged with the responsibility and safety of their passengers, deliberately abandoning them to a fate of privations so horrible that an entire Nation was shamed before all Europe. This is not the first time this blog has addressed the singular catastrophe that was known as the Wreck of the Medusa. It was a powerful subject of the Romantic age, a sublime image of depravity and abandonment in an age that prided itself for culture and civilization. I am compelled to return to this subject matter because these occurrences captured the attention of Regency society. There are other Regency wrecks that bear attending to, of other French ships under Britain’s flag, and the heroism of their crews that inspired even the admiration of Jane Austen. This entry was posted in Regency, Uncategorized and tagged Medusa, Regency, Savigny, shipwreck by Angelyn. Bookmark the permalink. Horrible story, Angelyn. Just the sort of thing that could spawn a book! Great job. I tweeted and shared on FB. I hope you’ll post it for critique. I can’t wait to read it! I totally agree with Ella. The stuff romances are made of! Great post! Tweeted and Facebooked. There’s more to come–thanks for stopping by, Jenna! shared on Pinterest and tweeted!